ASU scientist says human activities like farming a factor in climate change. Wet rice cultivation, as in rice paddies, is major source of greenhouse gases. Capturing methane and altering farming practices are two ways to lessen impact. Methane and nitrous oxide gas emissions, caused by human activities like farming, overwhelm earthly carbon dioxide absorption and should be tackled to fight climate change, according to a study published in the March issue of the scientific journal Nature. An Arizona State University scientist worked on the paper as part of an international research team of 23 scientists from 16 institutions in four countries, led by Hanqin Tian of Auburn University. Kevin Gurney, senior sustainability scientist in the Julie Ann Wrigley Global Institute of Sustainability and associate professor in the School of Life Sciences in the College of Liberal Arts and Sciences, is an atmospheric scientist, ecologist and policy expert working in the areas of carbon cycle science, climate science and climate-science policy. This is the first time that human activities have been proven to be a contributor to climate change by transforming the Earth. Question: Everyone is always talking about fossil fuels but not about the land. How do the two compare? Answer: Fossil fuels is a much larger overall source, but there’s a good chunk of it that’s removed by the land biosphere. Whereas in the case of methane and N2O — the other two big greenhouse gases of the big three: carbon dioxide, methane, and nitrous oxide — just don’t have as much biotic removal. CO2 has fossil fuel components and there’s biotic parts — swamps are decomposing and releasing CO2. Certain vegetated areas will remove CO2. When you take the net CO2 of the land biosphere, the net methane of the land biosphere and the net nitrous oxide of the land biosphere, it’s overall a positive number to the atmosphere, which for a long time was not very well recognized. Q: There are more of both these gases than CO2. A: Only the biotic component of CO2. Remember CO2 comes in two big flavors: fossil-fuel combustion and then some ins and outs of the biosphere. So we’re only talking about the biotic part of CO2. The fossil-fuel part of CO2 is very large, and it’s only one way: It emits into the atmosphere. The biotic part of CO2 is in both directions. The land can remove CO2 from the atmosphere, and it can emit CO2 into the atmosphere. Deforestation is the classic example of vegetative parts of the system that are emitting CO2. You chop down trees, you burn them, whatever, and you’re going to emit CO2. But, as I said, there are parts of the biosphere that can remove CO2 from the atmosphere. An example is that a young forest that is vigorously growing. It will remove CO2 from the atmosphere. Q: So we need to look at land management now. That’s a huge component. And cultivation of rice is a major source (of greenhouse gases). A: It’s because of wet rice primarily — paddies. They’re like any swampy inorganic area. It tends to be anaerobic decomposition, so decomposition without air. The stuff that’s smelly, the places where you’re like, “That really stinks,” a lot of that is due to methane release. The reason rice is a big factor is because so much of rice production is done in a waterlogged situation where there’s a lot of anaerobic decomposition in the soil. Q: Any possible answer there for land management? A: Probably two things. You can capture the methane. This is done at landfills. Instead of letting the methane release to the atmosphere, you capture it, and you can use it, burn it as a fuel, and then displace the fossil fuels. You can manage these systems for less methane emissions. In the case of rice, there’s plenty of dry rice techniques instead of wet rice cultivation. In terms of management, you can’t stop methane emissions from a ruminantA ruminant animal — such as a cow or sheep — is one that has a four-chambered stomach and that regurgitates partially digested food, or cud, to continue chewing. animal; it’s part of their life cycle. People argue we could shift away from a meat-centered diet toward a plant-based diet. But it’s hard to do much about the release of methane from ruminants. Q: How would you characterize the main thrust of the paper? A: I think the main impact of the paper is that traditionally we were under the impression that the biosphere was acting as a net sink of greenhouse gases. It was giving us a helping hand mainly because we had focused so much on carbon dioxide. It’s still the biggest greenhouse gas, and it still dominates emissions, but when you look at just the biotic part and you include methane and nitrous oxide, it looks like the biosphere is a source. Like every part of the greenhouse-gas puzzle, we’ve got to make reductions where it makes sense. I think the paper highlights that there are other parts of the puzzle that we can tackle to lower overall emissions. An omission of a greenhouse gas anywhere is good. It doesn’t matter if it’s the fossil-fuel part or the biotic part or the decomposition/cow part, they’re all essentially equal in the eyes of the atmosphere. It emphasizes this component of the budget, so we can tackle it, just like we’re tackling reducing fossil-fuel combustion, which is the one of course we all talk about and we all think about. There are other emissions we can tackle as well. 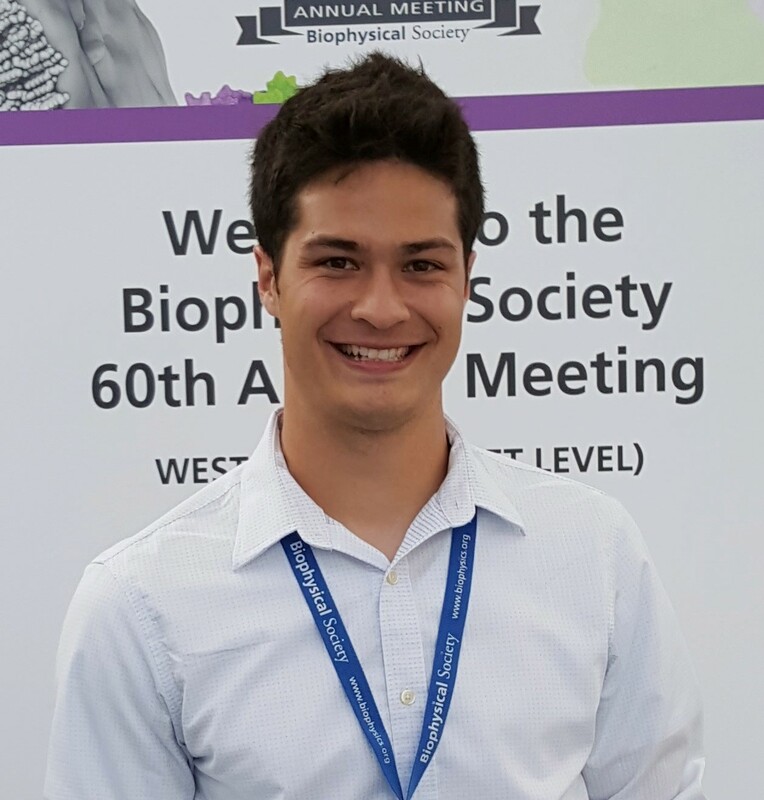 ASU graduate student Sean Seyler was selected to attend the 66th Lindau Nobel Laureate Meeting in Lindau, Germany. At the annual Lindau meetings, about 30-40 Nobel laureates convene to meet the next generation of leading scientists: undergraduates, doctoral students and post-doc researchers from all over the world. The Lindau Nobel Laureate Meetings foster the exchange among scientists of different generations, cultures, and disciplines. The theme of the 66th meeting in 2016 is physics. In a nationwide competition, Seyler was selected to represent ASU amongst the 55 members of the U.S. delegation of young researchers. He will spend six days at the beautiful Lake Constance in the Alps of southern Germany, talking science with some of the best and brightest in the field.